When going through a move, or taking time off to travel, it can be incredibly beneficial to have a place to store your possessions temporarily. Ensuring that you find a storage unit that is protected from the elements and secure from any sticky fingers is important. At Good Life Moving Service we understand the value of a good storage unit and that is why we offer each of our Newark customers a variety of storage options that suit their needs. The Good Life Moving Service storage facility is known in Newark for its high quality, affordable storage solutions for short periods of time. Storing your belongings during your move is an excellent way to ensure that all of your belongings arrive at their new home when you're ready for them. Moving can be a significant expense, and with that in mind we've worked hard to ensure our prices remain highly competitive. Our aim is to provide this town with a safe and secure place to store their most prized belongings, all without breaking the bank. We can move it for you! If you have a great deal of things you need stored and do not have the right sort of vehicle to transport it efficiently then we can help. We can provide you with a truck and if necessary a driver and movers to help you. 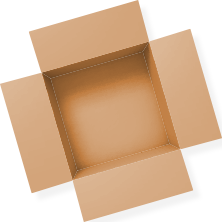 We will take a detailed list of all the items and boxes and allow you to manage the process from start to finish. If you are busy then we can move everything to the unit for you. You’ll then be able to drop by on your own time to inspect and make sure that all your possessions are where they should be. Temperature controlled units; we offer heated units that are specially designed to protect the most precious valuables. Some antiques, treated woods, and various types of furniture or instruments need to be kept in a controlled environment. If not then the materials can become damaged which will lessen their value or render them useless. Feel free to give us a call to find out if we have the right type of storage for your particular needs. Various sizes; no matter what you need stored we have enough room for you! You may need to store a few boxes or some very large pieces of furniture. We can handle it. Quite a few of our customers are business owners who require short term storage for different promotional materials until they are ready to move forward with their business strategy. Banners, decorations, lighting, stage equipment, you name it, we can store it for you until you need it. Contact our offices to find out what we have available! Each of our short term storage units is entirely weather proofed so no matter what you are storing, you can be sure that it will be in the same condition when you retrieve it as when you put it in the unit! The Good Life Moving Service Storage Solution! Knowing that your possessions are safely taken care of is important. At Good Life Moving Service we’ve got that covered. Our storage units are well lit, well taken care of, and well insulated. Each of our customers can feel absolutely sure that each item they store is as safe as possible. There’s a reason that Newark relies on us for their short term storage needs. Our excellent team is able to help customers choose a unit that is right for them! We will consistently try to give you the exact amount of storage you need and nothing more; so that you pay only for what you need. Call us today for a free quote and let our team help you decide on a storage unit that is right for you! All information provided is provided for information purposes only and does not constitute a legal contract between Good Life Moving Service and any person or entity unless otherwise specified. Information is subject to change without prior notice. Although every reasonable effort is made to present current and accurate information, LinkNow!™ Media makes no guarantees of any kind.